Vacation Homes Anna Maria Island and Awe-inspiring views. A laid-back atmosphere. An inspiring way of life. There is so much that every vacation destination promises, but only a select few places like Anna Maria Island can actually deliver. This seven mile long area may be small, but it is brimming with an abundance of outdoor recreation, sophisticated pursuits and the opportunity to unwind and recharge. 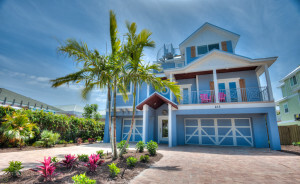 And when it comes to the selection of vacation homes Anna Maria Island has no equal. Available vacation homes in Anna Maria Island for sale ranges from condos to cottages, single-family residences and upscale gated properties. Every type of property offers its own set of advantages, and it is entirely up to you to decide how much space you need, which settings you prefer or how close you wish to be to your favorite pursuits. Find the perfect villa within a beautifully designed subdivision, replete with views of the bay or Gulf. An Anna Maria Island vacation condo right on the beach will provide unlimited access to a waterfront lifestyle, as well as many exclusive amenities including pools and much more. Navigating the market of vacation homes Anna Maria Island requires an experienced local resource. If you are serious about finding your dream home, always remember to enlist the aid of a professional real estate agent that has been an industry leader for over a decade and can accurately assess your needs and match you to the property that surpasses them all. To find out more about choosing vacation homes on Anna Maria Island connect with me today.